"欧盟概况 — 中华人民共和国外交部" (用中文寫). 中華人民共和國外交部. 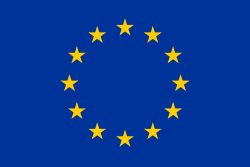 "歐洲聯盟 European Union - 歐洲地區 - 中華民國外交部 - 全球資訊網 Ministry of Foreign Affairs, Republic of China (Taiwan)" (用中文寫). 中華民國外交部.